Basic or modular? Which desk suits me best? 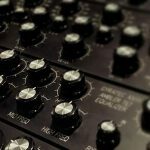 As the name suggests, the BASIC series meets the basic needs of a studio table in various areas of audio production, whether you are primarily composing, recording, editing, mixing or creating beats. That we don’t misunderstand each other – with a model from the BASIC series, you don’t just cover the basic needs. 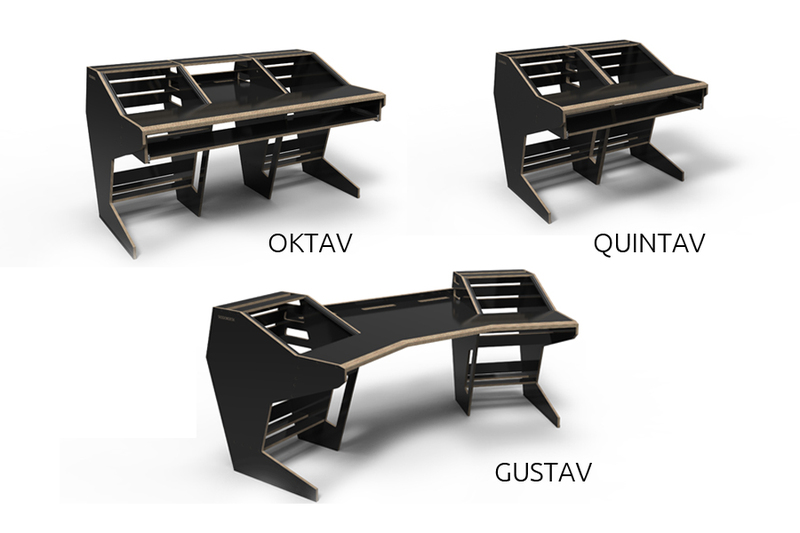 Rather, we see the BASIC models Gustav, Quintav, and Oktav as comprehensive studio solutions that provide you with a versatile and ergonomic all-in-one solution for your production environment. By the way: In the Studio Guide episodes “Do I need a professional studio desk at all?“ and “What you have to consider when setting up a studio table“ we deal with the BASIC series in detail. While the BASIC series can best be described with the term versatility, the general keyword of the Sessiondesk Modularsystem is flexibility. On our product site, we speak of a “timeless furniture”, with which we do not only refer to the timeless, elegant and ergonomic design. With the modular system, which can be flexibly adapted and expanded, you get a studio table you can rearrange and redesign over the years to keep pace with the progressive development of your skills, preferences, and setups. The flexibility of the modular system ranges from the complete reconfiguration of the table construction to the targeted expansion of your setup by exchanging individual custom parts. The SOLO is our most space-saving configuration and is suitable for producers, composers and mastering studios. 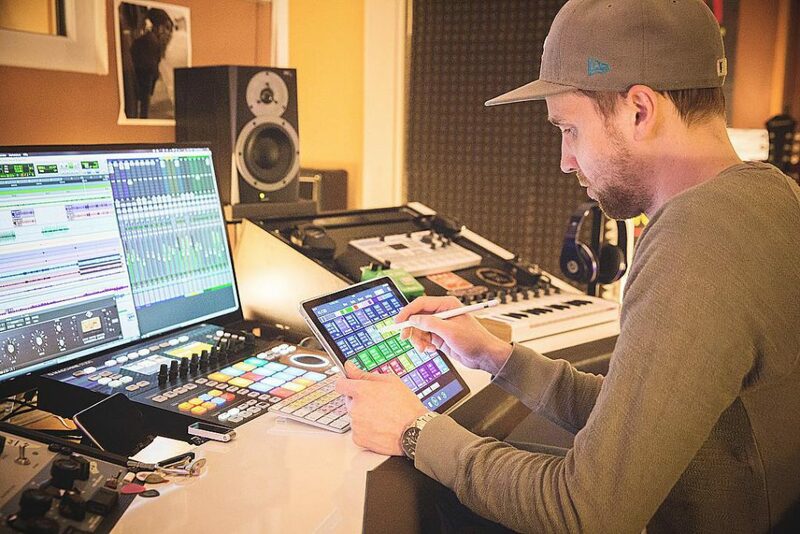 The DUO is the ideal solution for medium-sized production and recording studios and is optimized for working with two screens. The TRIO offers the most space for your recording and mastering equipment and offers up to 72 U of rack space in combination with three lower racks. The TRAPEZ with its angled side panels differs slightly from the other configurations and is available in four different standard sizes. 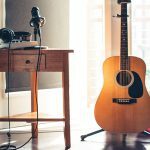 As a classic recording desk, it turns every room into a studio. With a width of just over one meter, the QUINTAV is the most compact table in the BASIC series. Nevertheless, with its 2x 9 U racks, various shelves and an optional keyboard drawer, it offers plenty of space for your equipment. 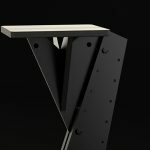 Compared to the QUINTAV, the OKTAV has an additional central section that can be flexibly adjusted in height – perfect for computer monitors, mixing consoles or large pad controllers. GUSTAV makes an impact and extends over a width of 2.34 m. In addition to 18U of rack space, you also have a wide centerpiece at your disposal, which can easily accommodate two screens or an analog mixer with many fader channels. 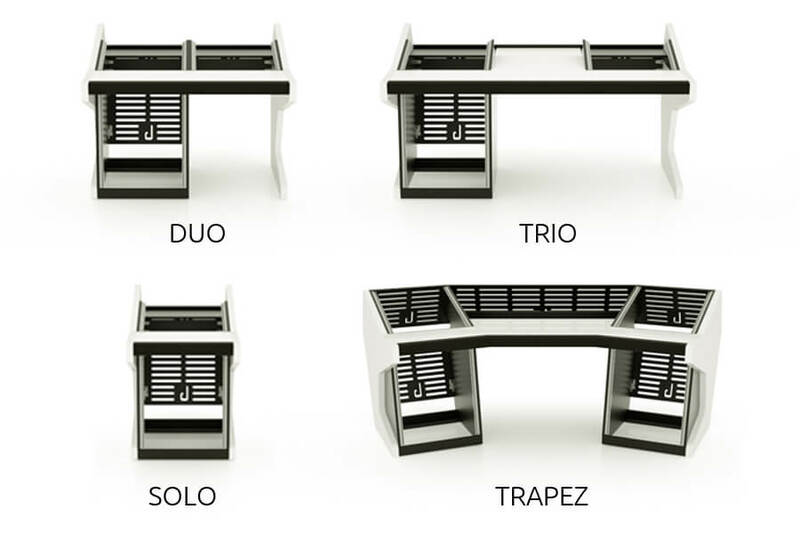 Which Sessiondesk table suits me best? Now that you are familiar with the elementary differences between the BASIC series and the Modularsystem, you might ask yourself: Why do I need a flexibly adaptable modular system when the BASIC series offers me a comprehensive all-in-one approach? In most cases, the short answer is as follows: Ergonomics and individual adaptation. What does that mean? The ergonomics factor is unfortunately underestimated in many studio configurations. Generally speaking, ergonomics is the doctrine of adapting the workplace to people and their needs. An ergonomic workplace means that you can comfortably reach all relevant devices. This guarantees an optimized workflow that helps you to stay focused, creative and fatigue-free for a longer period of time. The more specialized your work, the more you benefit from studio furniture that can be precisely matched to your work processes – and will continue to do so in the future. This is the big advantage of our Modularsystem. A modular table grows with your needs and can easily be expanded from a mixing and mastering desk to a recording desk. Thus, an initial SOLO can be extended to a TRAPEZ any time you like. The Quintav can hold keyboards up to 1000 x 300 x 130 mm. The Oktav up to 1500 x 300 x 130 mm. Just compare these measurements with the size of your keyboard. Another question for the keyboard drawer, I can’t find any info on how much weight it supports. My keyboard weighs about 25 kg, is that too much? The drawer can easily take up to 20KG. I will put this info on our website soon – thanks for your hint.